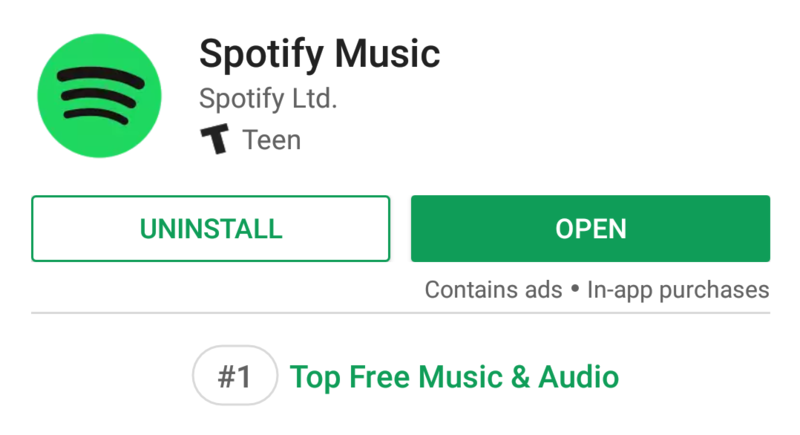 Among the craziness of last week, we received one tip about a minor but welcome change in the Play Store that was showing up for some users: when browsing an app's listing, you might see a new line below the Install/Uninstall button that displays its current top chart rank, as shown for Spotify in the screenshot above. 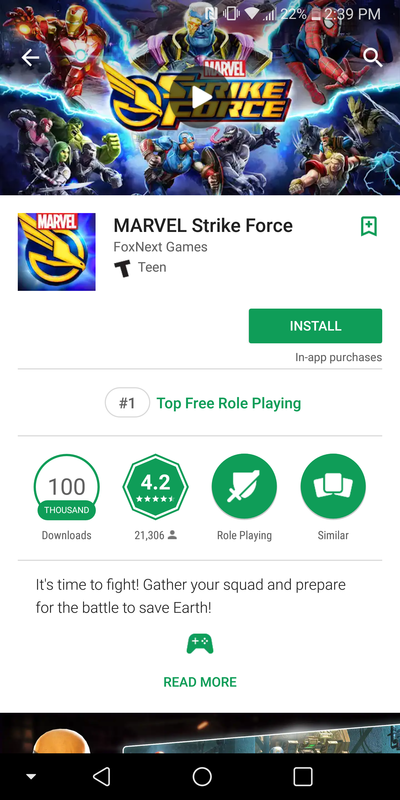 That is useful when you reach an app's listing from the Play Store's search and you're not sure how popular it is. 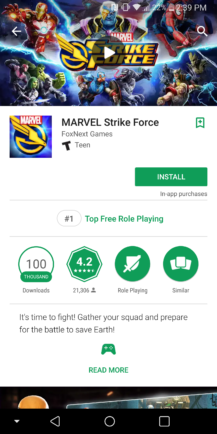 You might be more convinced to download it or buy it if you knew it was in the top 10 or 20 or even 100 in its category on the Play Store. Our tipster saw this on version 8.2 of the Play Store, but it's not showing up for me on several devices running a gamut of Play Store versions from 8.2 to the newest 8.3.41 so it sounds like it's a server-side test that hasn't reached everyone yet. 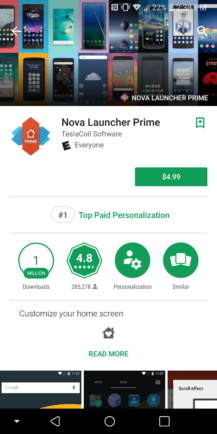 If you want more examples of the top chart rank, you can see a few screenshots grabbed by 9to5Google. 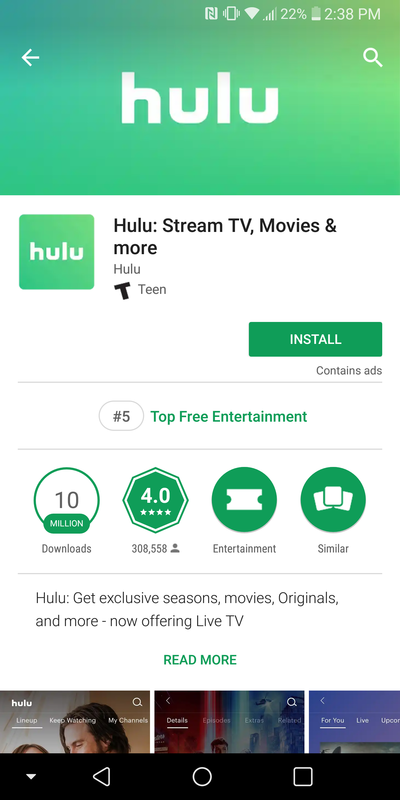 While we've been seeing this feature since last fall, as we mentioned at the time, not everyone was getting access to it all at once. 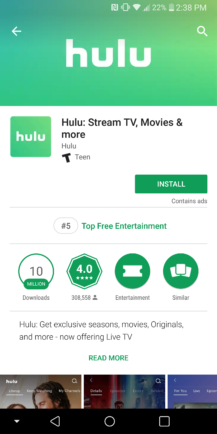 Google seems to have wrapped up its testing phase by now, though, as we've been getting a fresh stream of tips about users seeing these app-rank notices. If you haven't spotted them yet, chances are good you'll be getting them soon.